“Merit Badge Counselor”, taken literally, describes someone who counsels a bit of cloth called a merit badge. I know nobody actually counsels inert bits of cloth, but it makes you think doesn’t it? We don’t counsel merit badges, we counsel real, live, individual Scouts. Scouts may have a lot in common, but each deserves individual attention. 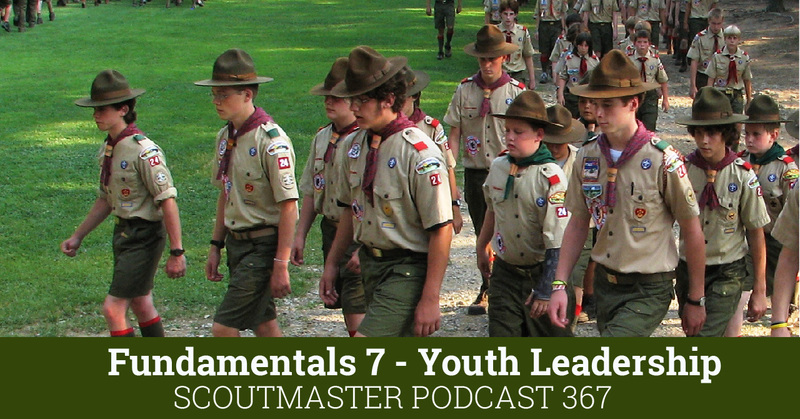 Merit badges are much more than a great way to learn about a given field of endeavor. 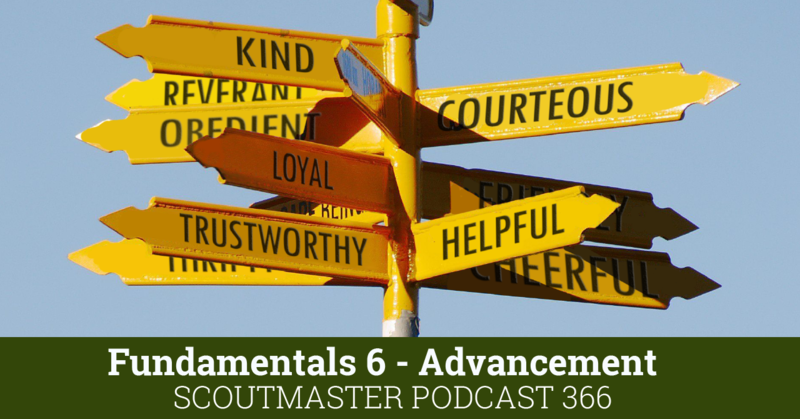 Scouts and counselors alike get the opportunity to relate to people outside their normal circle of friends and acquaintances, they get to expand their world a little. A lot of questions and complaining I hear about merit badges would be resolved if we all just stopped counselling merit badges and started counselling Scouts. 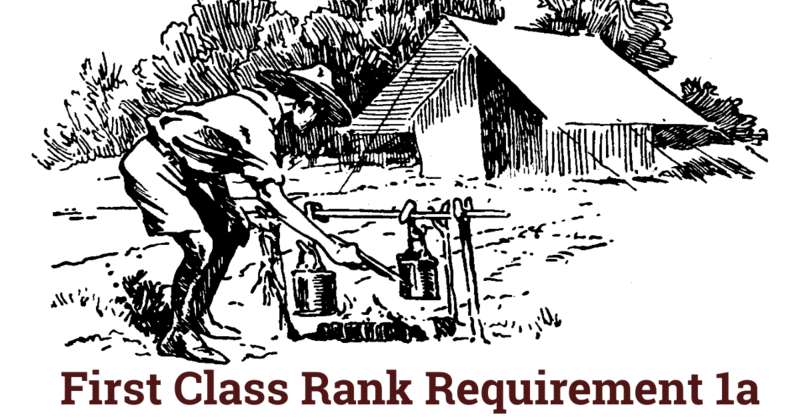 If merit badge counselors focused on individual Scouts complaints about the quality or thoroughness of instruction would stop. 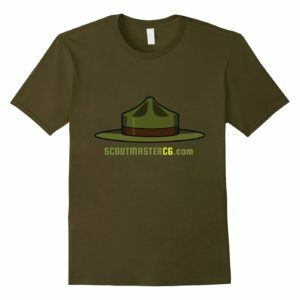 If merit badge counselors insisted on counselling Scouts merit badge “classes” at troop meetings, merit badge fairs, summer camps, and other mass gatherings where Scouts were treated like a herd rather than an individual would be a thing or the past. 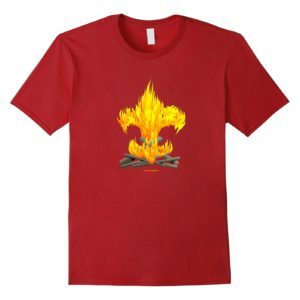 Merit badges are symbolic, inert little bits of cloth; identical, mass produced, products. If we all stopped counselling merit badges and focused on counselling Scouts we’d better understand how that lifeless bit of cloth takes on real meaning in the life of a Scout. YES! The nail was hit on head again! Thanks, Clark. As you all can see from many of the comments it becomes obvious we have a wonderful opportunity here…fulfilling a gap that our schools/national education have created with all the “teaching to the test” syndrome rampant for the past 20+ years. Many of the Scouts & some counselors are merely reflecting that tendency. As said below, we can give them the tools and get out of the way. One of the great things about Scouting is that it provides a great “OPPORTUNITY to fail.” (obvious emphasis on “opportunity”) which is largely ignored in education today. Allegedly everyone must succeed equally. Ain’t gonna happen. 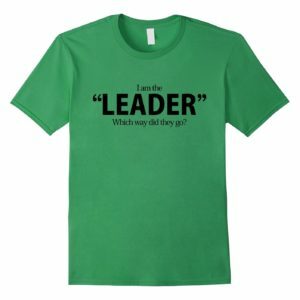 Humans learn most effectively from making mistakes, correcting those mistakes and moving on to success. “..try, try again”; “90% perspiration, 10% inspiration” etc. I agree. I don’t mind taking our son to the Merit Badge workshops at different places, not all of them are crappy or at least not the ones we find for our scout. He has earned a lot of them that he is interested in by doing this, however most of the time he has other things that he has to do outside of the classes with the exception of two sets, the ones put on by Microsoft they actually read the Book and the stuff they cover IS exactly what the kids need to know or learn and they have a blast making a robot and other stuff. The other one was the Aviation Merit Badge he earned from a group of Grisly Scouters at a hanger at an airport….. it was authentic. However, he got one that in our opinion he hasn’t finished earning yet and that was Wilderness Survival. The part about the three fires, the ASPL who was also trying to get the badge said that all they had to do was discuss the making of them and not actually do it. Well it says to make them not discuss them…. so we will have him do it (trust me no resistance from him lol) the right way. I just called national today about MB’s. We have a Museum near us that is sanctioned by the district. My son took the Weather MB there. The class was 2.5 hrs long and had 20-25 scouts. Out of the 11 items that were supposed to be covered, only 1.5 were. To make matters worse, the hands on project they did was from the Soil Conservation MB. When I questions them the “instructor” had never seen or read the MB book. I asked to speak to the director and was told by her that their curriculum was approved by counsel. I then called counsel and was told that their curriculum was fine. I called National and was told to fill out a form 512-800, MB complaint form and send it to counsel. If the top doesn’t care then how can the MB system work. It’s a farce. 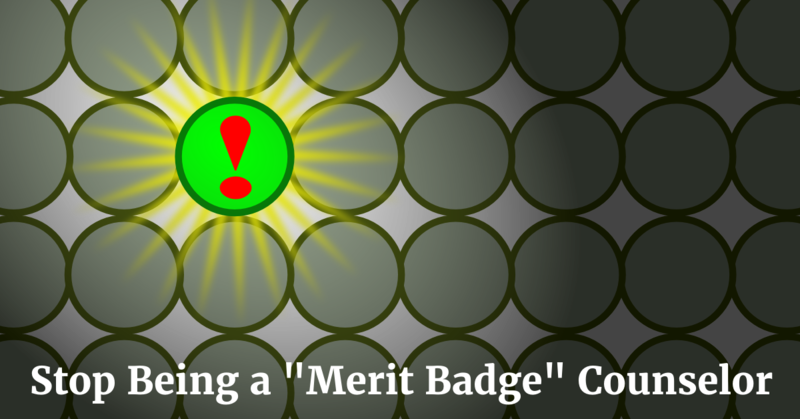 I just completed a Merit Badge College as a Counselor for the Game Design Merit Badge. The college was 2 70 minute sessions and I had to change my previously delivery method dramatically to help the Scouts meet the requirements. For those of you who aren’t familiar with this badge it is very difficult for the Scout – they have to understand there is more to Game Design than Gears of War lol. This experience moved me from a teacher to an advisor/coach. All of the work had to be completed off site on their own. Clarke has taught me that we will be amazed at what the Scouts will accomplish if we give them the tools and get out of their way. Out of 26 Scouts who started my Class 20 came to the 2nd session 10 completed all of the requirements by the end of the 2nd session and 8 are working with me to complete their partials. Many parents complained about the homework, and the partials. Not one Scout said anything but “Okay I see what is needed and I’ll try”. I do not look for perfection I look for understanding – and you have to produce the work. My point to this is that when you realize that just like Scouts, Merit Badges are an experience – albeit a small side one – your expectations on what is needed when change and the experience becomes much richer for the Scout – he actually learns something, and so do you. Wow, this sure hit a nerve, based on the number of comments. @ Paul: my experience does in fact tell me that the boys enjoy getting **some** tangible things – read merit badges – done at camp, but that many of the camps we visit vastly over do it. My Scouts chose this summer’s camp based in large part on the fact that it has only morning MB classes – afternoons are mostly reserved for patrol, troop or camp-wide activities. (Some of the parents were more skeptical though.) The previous two years the camps we attended had FIVE sessions per day, so many of the scouts couldn’t participate in the other activities, or at best were rushing to get to them. “Too busy” was by far the number one complaint when the ASMs and I debriefed them. To their credit, they followed through when choosing this year’s camp. A related pet peeve of mine is when summer camps run the academic Eagle-required badges (e.g., the Citizenships). I tell my Scouts that if their parents are going to make you do Eagle-required badges at camp, at least do Cooking, Camping, Swimming, Lifesaving, or Environmental Science – badges that are at least nominally outdoor/camping related. 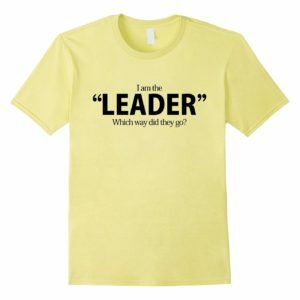 Paul, I also have a semantic difference – I am not working with the boys to TEACH them, I am working with the boys to put them in a position to LEARN. I’ve been a Computers MB Instructor for the last few years. I live computers (eat / sleep / breath computers). The last time I taught it, I caught flak for “expanding the requirements” by having the boys do an application of the knowledge to their daily lives. Basically, it was an audit of their home computer, does it have X, Y, and Z. So, where’s the middle ground? How do you make it fun / applicable to the Scout’s life without getting hammered for “scope creep” ? There’s no “middle ground” there’s only the requirements, they can’t be added to or detracted from, you can’t alter them. That’s the way it works, but I would rather it didn’t work that way. 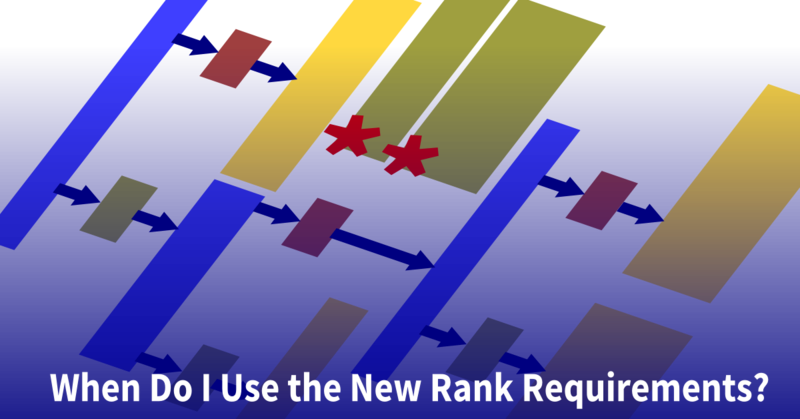 I would rather the counselor and the Scout sat down and wrote their own requirements – but that’s not going to happen anytime soon. The way I understood the rules, “no adding to the requirements” just means that you may not withhold the merit badge from a boy who didn’t do the extra work. On the other hand, we are EXPECTED to offer enrichment opportunities. That’s why we want counselors who are experts in their field, not just trained monkeys who regurgitate the MB pamphlet. But maybe I’m misunderstanding the rules. This is a complicated enough topic that it probably deserves its own blog post if you have time. 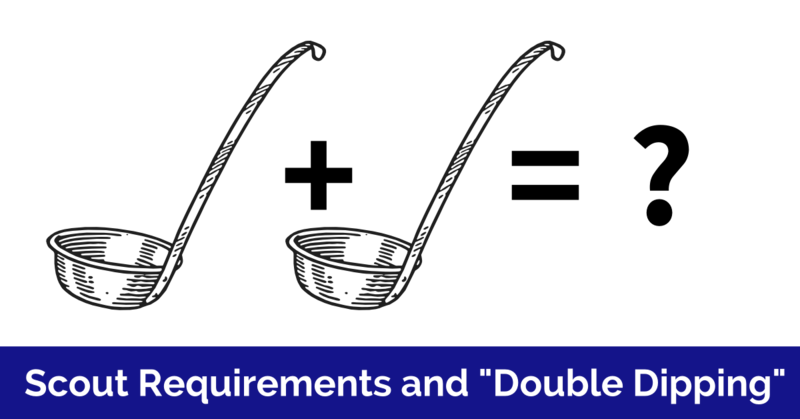 “No adding to the requirements” means just what it says. I can see inviting Scouts to do something more once they have completed the MB, but I’d think it would be confusing to talk about it before then. As for whether of not I think “classes” at camp or elsewhere are objectively wrong, I don’t. It’s not about being right or wrong, it’s about what I think. I would rather spend the week of summer camp doing something other than following a schedule of merit badges, especially ones that have little or nothing to do with life in the outdoors. Let’s go on a hike, build a fort, play some wide games, or spend time with our patrols rather than sitting through classes. As you may imagine not too many people share that opinion, and I am fine with that! But why pay to be at summer camp at all then? Summer camp provides resources that I don’t have at the Troop level – canoes, kayaks, shotguns & .22’s, a plethora of pioneering poles, etc. When we just want to have fun, which is often, we can do that on our own for a fraction of what it costs for a week at camp. 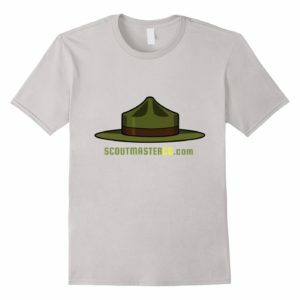 Yes, summer camp is based on the merit badge economy, parents want them, Scouters want them, Scouts want them, nobody understands camp without them.